As I notice and wonder about blogs that I read, I'm finding two themes (memes?) that are very annoying. They are (1) instructional and (2) notice & wonder routines. 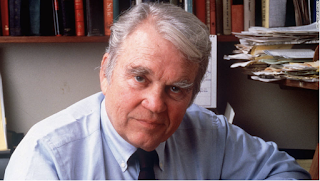 Now that I’m retired and become more like Andy Rooney of 60 Minutes fame, I find my personal routines becoming more and more distasteful. After my morning coffee (which I look forward to) I do the following: (1) Clean the litter and litter area (we have 5 cats) (2) Make the bed assuming of course that my wife is up by then (3) brush my teeth with a fancy battery powered toothbrush (Quip) that takes 2 agonizing minutes to complete and (4) take my mouthful of vitamins which takes a while to sort out and swallow. Then I finally make my second cup of coffee and go to my desk to think creative thoughts (like the ones I’m writing now) and time begins to fly by. So needless to say I’m not fond of chore routines. Unfortunately, they are mostly necessary evils. My concern about using instructional routines in math classrooms is that they can take over and become boring to students. Speaking of boring there are the notice and wonder routines. The ones I notice and wonder about are happenings in classrooms of bright, bushy tailed students that will notice and wonder excitedly about anything including spilled milk. But I wonder about the students who are less enthusiastic noticing, but only wondering and joking about why the teacher is asking such a boring question. Now don’t get me wrong. If notice and wonder routines work for you, then by all means continue. I found out from working at an adolescent kid’s camp in Maine back in the 70s that anti-routines where the best anecdote for boredom. At the end of each day the counselors would gather and plan the events for the next day. They were different each day. I know that camps are supposed to be about fun, but they are also educational. The lessons I learned at that camp (when I was in my 20s) served me well. I included an element of surprise in my math classes every day especially for those students who suffered from routines paralysis. 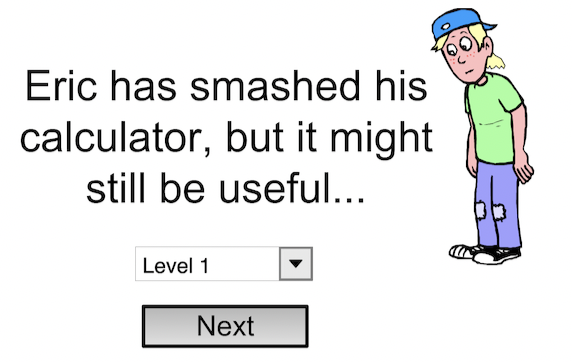 In a previous blog I lamented over the demise of the Broken Calculator. Well there is another program - Fraction Tracks (FT) - that appears to have disappeared as well for the same reason (unsupported plugins). Why does FT need resuscitation? If this simulated board game is used with care it can be a part of the solution to the number one challenge in elementary math education: learning fractions. 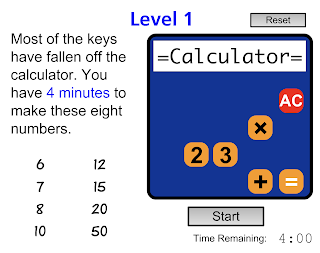 Before we discuss this NCTM FT "miracle" app, a little background may be useful. If you search for a fraction app on the Web you will be amazed at how many there are. FT was/is a golden needle in that haystack. 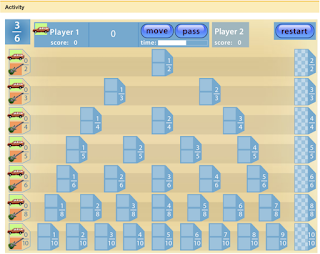 It encourages students to explore equivalent fractions in order to continue with their moves and win the game. From a teacher perspective it can improve their knowledge base and perspective on teaching fractions. 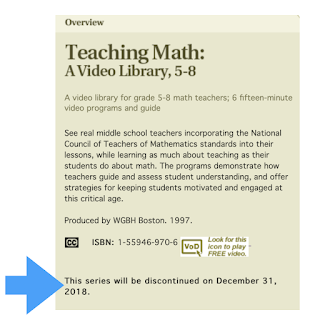 * But, alas, the NCTM version which was developed with funding help from the now defunct Marcopolo project suffers from the "unsupported plugin" plague. (Put the plague story on hold for a minute or so.) An effective way to introduce the game to students is to use a different modality: a board game version of FT that doesn’t require a computer. Here’s a description of one version of the game. 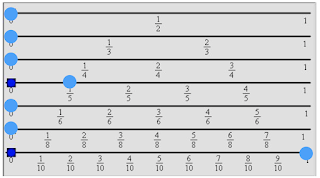 The Fraction Tracks Game, used in fifth-grade classes at Tollgate Elementary School of Expeditionary Learning in Colorado, provides opportunities for students to use equivalent fractions, break fractions apart into unit fractions, and mentally add and subtract fractions with denominators 2, 3, 4, 5, 6, 8, or 10 as they try to move their game pieces from 0 to 1 along tracks labeled in various fractional divisions. Included here are the game boards, rules for a basic game play, and “extension” rules that provide more advanced practice. Another way to introduce the game (and eventually the app) is to play it cooperatively. Start the game by placing one chip on each track, at the beginning (0) of each track. A student then chooses a card from a deck of fractions. The fraction on the card is the total move a player must make using one or more chips. 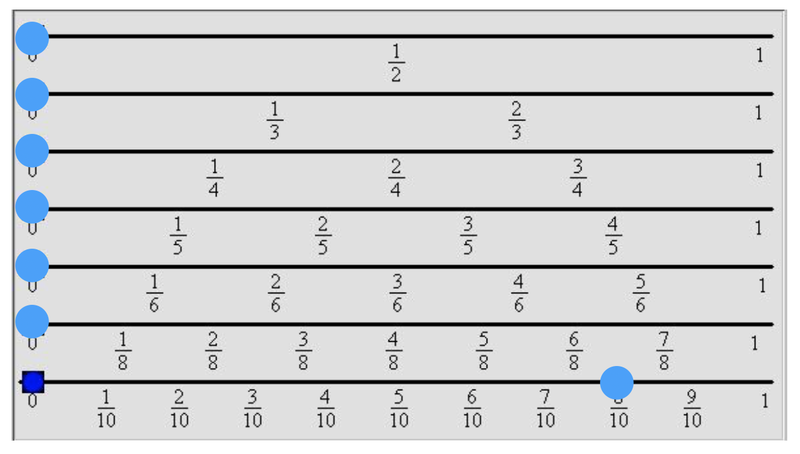 The first fraction chosen in this game (see figure on left) was 8/10. On the board the bottom chip is moved to 8/10. If a play cannot be made, the game is over. The team score is the number of chips that made it to 1. Highlight: Watch this video** of one teacher’s way of teaching FT to her students. The app version has been resurrected (written in Flash) and is now available here. It is a two player game and has a timer. Have fun! Here we go again. We've seen similar charts like this before. 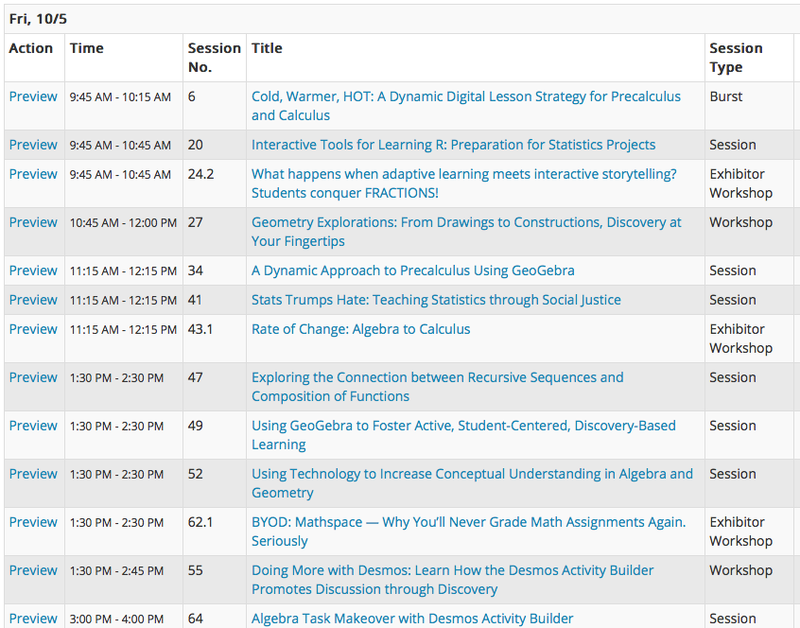 What are we the math education community doing that's contributing to this trend? 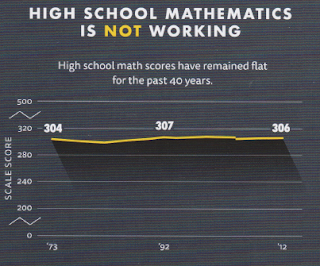 Our new NCTM president Robert Q. Berry recently posted a message to the community in response to articles such as this: MATH SCORES DROP TO A 14-YEAR LOW AS ACT SHOWS MANY HIGH SCHOOLERS UNPREPARED FOR COLLEGE. 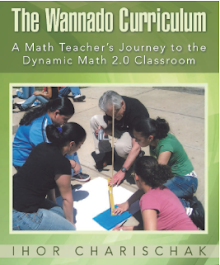 Critical conversations are necessary for knowing and understanding not only the indicators for mathematics and STEM readiness but also the inequities that contribute to the factors that offer advantages to some learners while disadvantaging others." The inequities problem continues as does the call to do something about it. Holding conversations does help, but the majority of educators feel helpless to do something that would make a significant difference to what is mostly a complex political problem. In my opinion the complicated problem we can solve that keeps things at status quo is the continued use of flawed textbooks that not only do not adhere to the Common Core but also do not offer help in effective pedagogy. Many teachers who have the freedom to use substitute lessons that they find on the Internet or develop collaborately with their colleagues at school or on the Internet (ala #MTBoS) help improve student's learning. For example, some creative schools like SLA (Science Leadership Academy) in Philadelphia use projects to motivate the learning of conventional topics from algebra I and II and geometry. The teachers also create their own lessons which are cooperatively developed. Unfortunately too many teachers just follow the textbooks lessons which turn too many students off to math. There are of course exceptions of textbooks that are well designed and conceptually well grasped by students. 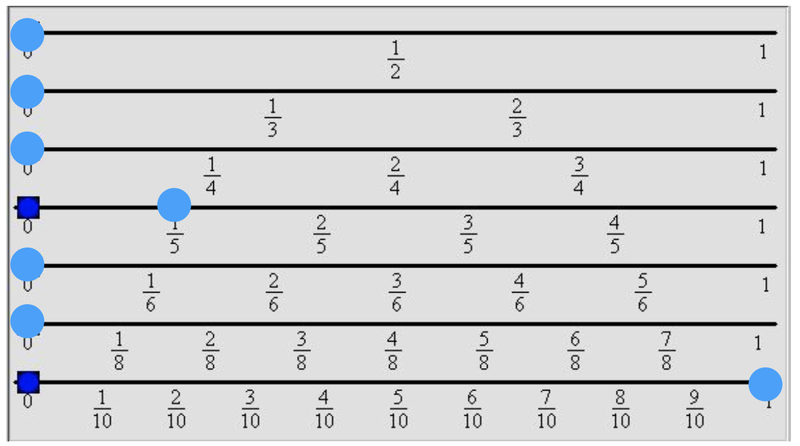 An example is EDC's Transition to Algebra (T2A) which is designed to make the student's experience of learning Algebra more understandable and interesting. Also, using the Heinemann book, Making Sense of Algebra: Developing Students' Mathematical Habits of Mind help teachers to dive more deeply into the goals of T2A so they can provide an optimal learning experience for their students. A more radical (creative) approach* to writing textbooks is to make lessons more like stories which are intrinsically interesting to kids. There are videos that tell stories that could be used as part of a lesson: the 3-act kind that Dan Meyer likes. My 3-part lesson is: 1. Set the Stage 2. Do the Activity 3. Debrief. Also, STEM should be a math credited course in High School. We moved Algebra 1 to the 8th grade in my lifetime, why should seniors have to wait till college to experience STEM? It doesn't make any sense not to do that. See my previous post on this topic. *More on "radically" creative lessons in future bog entries. Will Blended Learning be a Game Changer? Here’s a picture (circa 1968) of me pretending to teach while my students were pretending to learn. But how could I say that given that this was my best Algebra class and most of the kids got As and Bs? 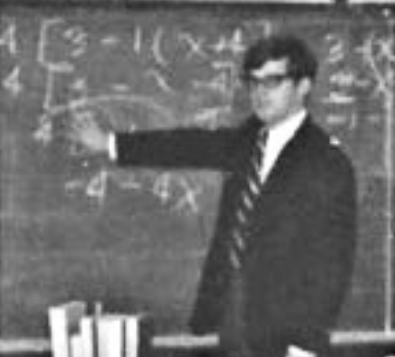 Well, what I discovered many years later was that the students were just doing what I asked them to do to please me and no one was very inspired to explore algebra beyond what I fed them. But that was good enough then. My model was the textbook: Mary Dolciani’s Algebra 1. For those of you that remember the Dolciani method you probably recall that it was a hard-nosed, traditional approach. For the kids it was a series of hoops that they struggled to jump through. But to what end? Algebra II of course! I didn’t question this approach at the time, though I did think about alternative ways of teaching math in my university days. My school’s culture was traditional, so I didn’t dare to deviate. According to an Edutopia article by Beth Holland the peril of such an approach handicaps students. They remain “consumers of teacher-directed content instead of becoming creators of knowledge within a context that they can control.” Will Richardson (during an interview with Beth)* said that he went through a standard school experience and he turned out OK. So what was so bad about that? Beth responded that that model was OK for then, but not for today. We need a new model. This new approach shouldn’t make the old model “wrong” but through a gradual process move teachers to a new way of teaching and learning given all the new resources that are now available. Teacher buy in to new models is crucial. One reason that the introduction of technological devices into the classroom is a good way to start is because most teachers understand that technology tools are important in the lives of students so integrating them into the classroom is an accepted norm by most teachers. Previously, Beth interviewed 3 instructional coaches from Bellevue, Nebraska about their 1-1 iPad initiative and move to blended learning. Supporting student agency is one of the main tenets of the blended model (that is described in detail in Michael Horn’s book “Blended”) that districts like the one in Bellevue, Nebraska have adopted. But unfortunately blended learning can become just a buzzword when teachers and administrators don’t understand it very well. In my early days of giving talks at conferences, I occasionally used the word pedagogy in the title of my talk. I didn't get many takers. In fact, on one occasion no one showed up. So I stopped using the word in the title of my talks. And presto, attendance improved. So you're probably wondering about why I'm using the word in the title of this blog. Some background should help to answer the question. Cuban found that about 2/3 of the teachers became regular users of technology and were happy that it made for a smoother delivery of instruction to the students. But did it produce better results? In other words, were the students learning better? Cuban doesn't answer the question because he didn't focus on results. He leaves that to future researchers. He did discover that teachers in Silicon Valley do use technology and found that it makes them more efficient with getting resources out to kids. But the question: did they learn better? doesn't get answered. I would characterize what the students were experiencing was Blended Learning. But were they learning better than before? Since Cuban doesn't help me with that I looked for some research on Blended Learning to help me. [...] The use of technology itself appears not to be primarily responsible for [...] improved outcomes. Rather, the accumulated studies they shared found that the biggest effects came when the instructors changed what material they taught and how they taught it. "If you just use a new digital learning technology without changing anything else, chances are you're not going to have a significant impact" on learning, Griffiths said. "The real lesson for the New Education is that we need more active, creative ways of teaching that put some of that computer power to good pedagogical use." So we've come full circle. What do we/you mean by good pedagogical use? In other words, how do we get kids to really want to learn what you want them to learn? That's the holy grail. 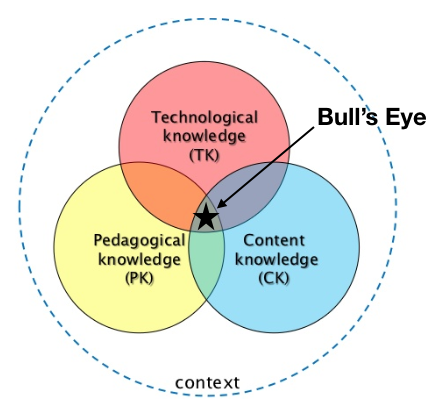 In my thinking about pedagogy, I went exploring and discovered the Cult of Pedagogy. The title is meant as a joke (there's no cult here) but the website is really good for folks who want to improve their personal pedagogy especially in using technology. The author, Jennifer Gonzalez, does make a living from this site so it will cost you some, but it's reasonable. *This source includes a 30-minute podcast interview with the author, Larry Cuban. 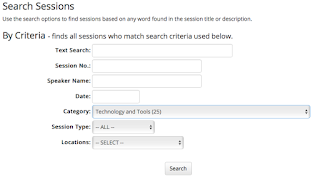 What are effective ways to use technology? "A lot of people using technology are using it as a subsititute for what they did before. 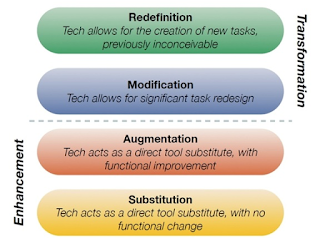 They are not using the SAMR model. They are not using technology to really change how learning and teaching happen." 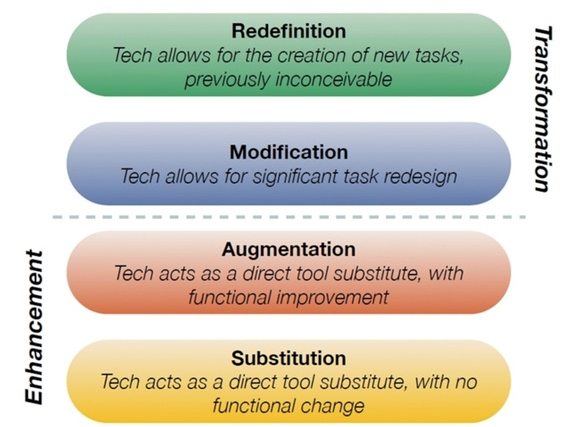 According to Kathy Schrock the SAMR (substitution, augmentation, modification, and redefinition) is a model designed to help educators infuse technology into teaching and learning. Popularized by Dr. Ruben Puentedura, the model supports and enables teachers to design, develop, and infuse digital learning experiences into their curriculums. The goal is to transform student's learning experiences so they result in higher levels of achievement. Jo Boaler's Mathematical Mindsets describes how students perception of mathematics can be changed by providing students with practical strategies and activities. 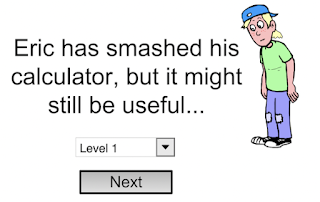 This can help teachers and parents show all children, even those who are convinced that they are bad at math, that they can enjoy and succeed in math. Another example is Annie Fetter's I Notice, I Wonder activities that can turn an indifferent student to be fully engaged in the lesson. But both of those are not technology specific. This next one is. More technology specific activities in my next blog entry. Shall CLIME meet a Demise or a Renaissance? 1. 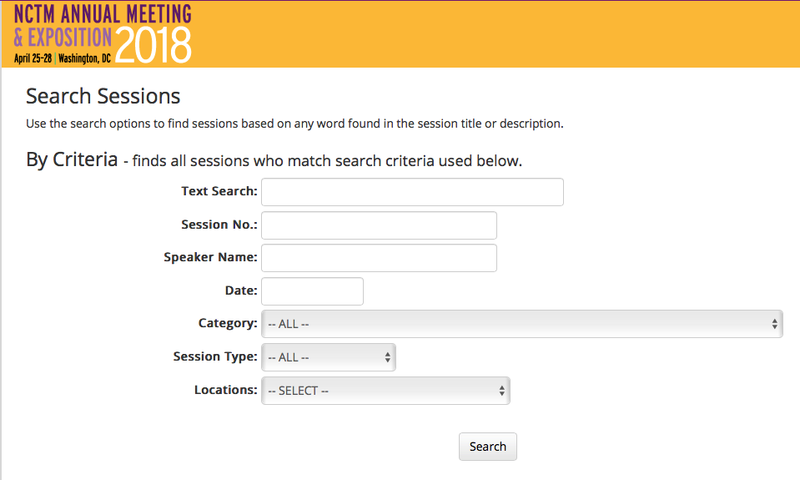 Send in a proposal to speak at the NCTM annual meeting on a technology theme in San Diego next April. Link. The deadline is May 15th. If you succeed let CLIME know (ihor@clime.org) so we can promote your session. 2. If you are speaking at one of the regional conferences this year, let me know so I can promote your presentation as well. 3. CLIME's mission is to is to empower math communities to transform the teaching and learning of math through the use of dynamic tools in our Web 2.0 world. 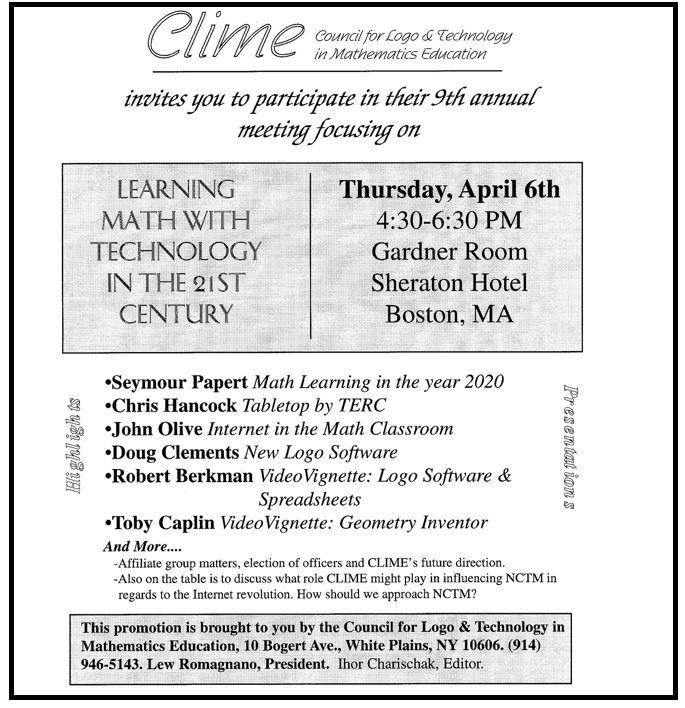 If you believe strongly that CLIME should exist to continue to lobby NCTM to promote the effective use of technology in math education, then membership is for you! Membership in CLIME is free. Just send me an email that you support our effort. 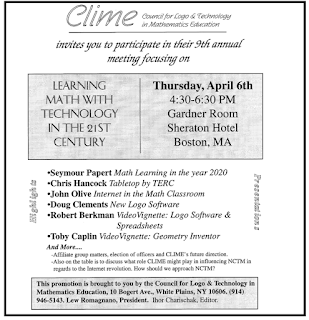 We will be holding a CLIME (Council for Technology in Math Education) get together in Washington to celebrate 30 years of CLIME participation as an affiliate group of NCTM. I apologize for multiple copies of this announcement, but I want to make sure that our CLIME friends are aware of this important meeting. After 30 years of participation in CLIME I’ve decided to step down and offer an opportunity for another individual to take the helm of an organization that has played a significant role over the years in keeping technology on the front burner of NCTM’s vision for quality mathematics education. 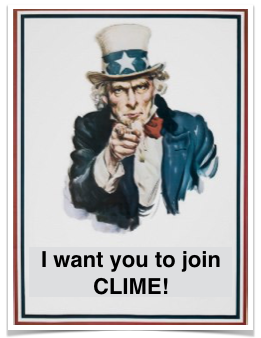 If you are interested in playing a role in CLIME's future please let me know (ihor@clime.org). If you are attending the Washington Conference, please stop by our meeting and let me know of your interest. In this address, Professor Christopher Emdin, Columbia University explores the historical and contemporary landscape of urban education and provides a new lens for viewing how and why teachers must focus on deep excavations of culture in order to gain new approaches to improving STEM pedagogy. In particular, he merges cutting-edge research with real-life examples to provide ways that educators may re-imagine their roles in STEM teaching and learning and meet the needs of their most marginalized students. I'm curious. 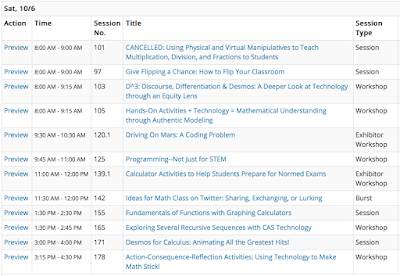 Does this talk contradict Matt Larson’s blog post: Math Education Is STEM Education!? Despite all these efforts, the questions concerning STEM and the requests to speak and address STEM education just keep coming. It is clear that resolution on how STEM education fits with our goals for mathematics education still lacks clarity in the minds of many. Let me make one thing abundantly clear: I support STEM education—including science, technology, and engineering. But I support STEM education, as Michael Shaughnessy (see endnotes) wrote, from the perspective of “political advocacy.” As mathematics educators, it is incumbent on us to be advocates for STEM education because advocacy for STEM education is advocacy for mathematics education. 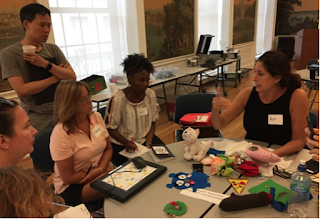 Could K–12 math classrooms fail to have students engaged and learning the mathematics content and practices necessary to advance in the curriculum, but have integrated some technology, engineering, coding activities, or connections to science and be called a “STEM Program”? If students are not equipped to pursue a post-secondary STEM major and career, is it really an effective K–12 STEM program? My answer is no. No number of fun activities or shiny technology will overcome this fatal shortcoming. What Larson doesn’t mention is the impact that motivation plays in a student's successful learning of math. Just because he or she hasn’t found a high school program that teaches appropriate high school math within a STEM framework doesn’t mean one couldn’t exist. I found in my teaching that calculus without a soul is meaningless to high schoolers. The modeling is contrived (ala Dan Meyer’s pseudo context) taken from a 20th-century framework that doesn’t integrate what's needed for our students today. STEM should be in the high school curriculum as a math application. We’ve had hundreds of authors of high school math textbooks who have come and gone and not much has changed since the new math was introduced in the 1960s. Most students find it irrelevant and boring. Yet they persevere because they know its good for you (like spinach) to include the advanced course in their college application. What a lousy reason for students to pursue a topic! Isn’t a teacher/writer out there that could make that connection that motivates students to actually want to learn math intrinsically? STEM could be a topic that lights a fire under a student to learn science, technology, engineering and of course math in an engaging, integrated way. Only 37 percent of students are prepared for college-level math and reading, according to newly released data. 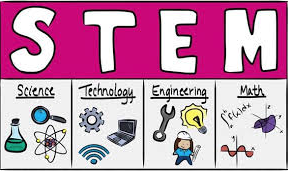 Those who are implementing any STEM program should be able to identify the specific mathematical foci of the program. With all due respect to our colleagues in the other disciplines, we assert that the letters in STEM are not all of equal importance in the pre-K–12 education of our students. Mathematics is paramount, mathematics is primal, mathematics is the most important STEM discipline. The other three disciplines are fundamentally dependent on the strong mathematical preparation of our students. 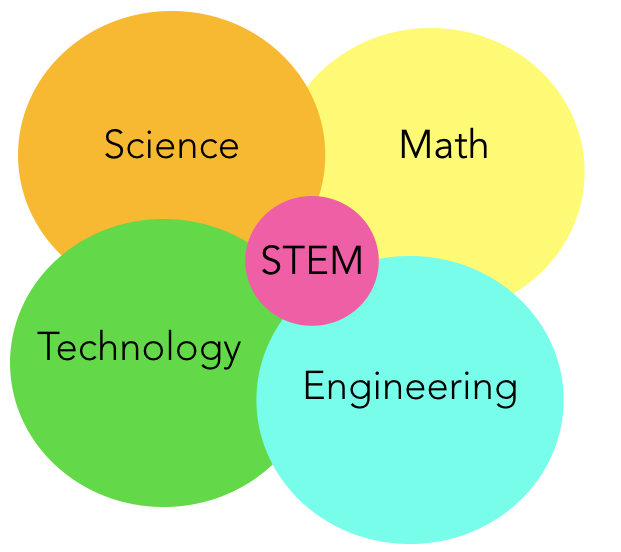 As president of NCTM, I find myself in the position of speaking as a strong advocate for “steM.” In our rush to secure much needed funding for our states and schools, let us keep in mind that STEM is an advocacy position, and not a content area in and of itself. As we develop plans for STEM education initiatives, we must maintain a clear vision for the role and importance of mathematics in the education of our students. It is critical that we preserve the mathematical meat when faced with the salad bowl of STEM, lest we make a MEST of it all! 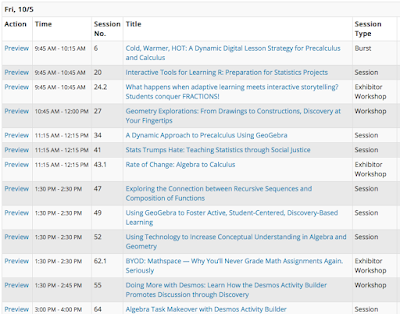 Comments on Matt Larson's post: Why Teach Mathematics? At the high school level students should have more of a choice as to what to study. STEM is a productive venue for students who dislike spinach math. But if they engaged in well designed STEM projects that illuminate math ideas, spinach math would be something they actually would enjoy. Pass the butter, please. Note 2: No mere vegetable ever gained the fame that spinach did in the 1960s through the cartoon character Popeye. Often in vain, parents encouraged their children to eat their spinach so they would grow up to be big and strong. 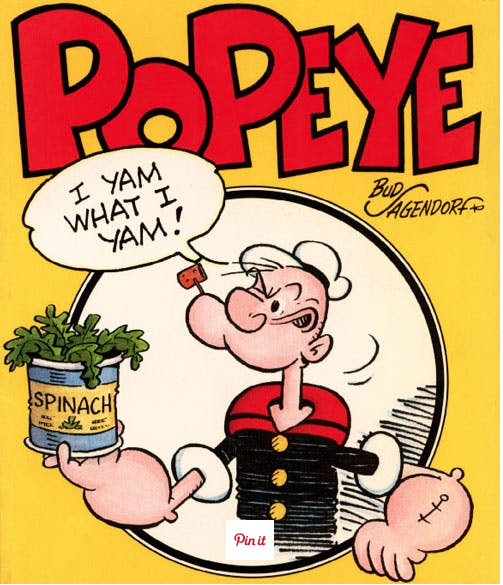 Why did Popeye eat so much spinach? The Surprising Answer. And why is it the key to so much maths and science? David Acheson believes that the main ideas can be understood by anyone, using only basic school mathematics. He presents calculus as a story, in which Newton, Leibniz, and others gradually build the subject, often by battling with infinity. 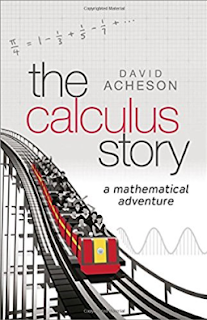 Whether you are new to calculus, returning to the subject, or just enjoy a mathematical adventure, David Acheson provides an exceptionally crisp and engaging account of this beautiful and immensely powerful part of mathematics. Is this a story of a reform birthed in one educational crisis dying during a later one? Or is it a story of a reform centered on one person who, over time, built an organization that lost ideas and energy while failing to generate sufficient funds after the founder left? Or is it a time-tested story of a reform that succeeded by spreading its progressive gospel far and wide appearing in many other policies, programs, and places? 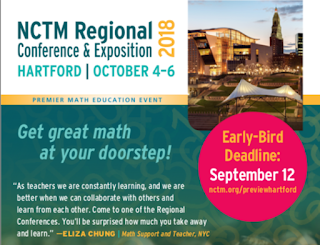 After 30 years of participation in CLIME (Council for Technology in Math Education - an affiliate of NCTM) I’ve decided to step down and offer an opportunity for another individual to take the helm of an organization that has played a significant role over the years in keeping technology on the front burner of NCTM’s vision for quality mathematics education. 1. In the beginning there was Logo. Seymour Papert was an inspiration for many math educators who believed that his Logo program and philosophy could make a huge difference in math education. An “after hours” meeting at the 1986 Washington NCTM conference resulted in the formation of a committee (of which I was a member) that eventually became that affiliate of NCTM in 1988. 2. The membership grew over the years. In 1995 at CLIME’s annual “after hours” session (similar but on smaller scale to Dan Meyer’s Shadowcon) CLIME invited Seymour Papert to speak. Over a hundred educators attended the event anticipating Seymour’s talk. Unfortunately at the last minute Seymour was not able to attend, but the rest of the agenda (figure 1) went on as scheduled. An interesting side note is that as far as I know Seymour was never invited to speak at a NCTM function. 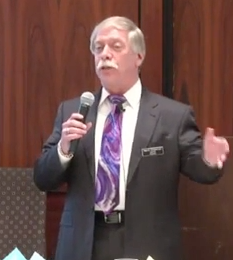 What alarmed NCTM board directors was that he was critical of NCTM’s approach to reform. Judge for yourself. Here’s what he had to say in 2000. 3. In 1996 The CLIME newsletter went electronic and was named CLIME Connections. 4. In 2012 we made a significant difference with NCTM. See the late Mark Workman’s letter to CLIME which acknowledged our contributions. 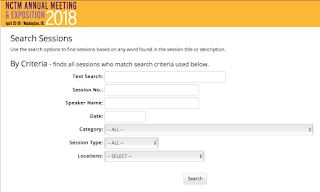 For more details see my blog which acknowledges our resolution for improving how technology can be more effectively showcased at NCTM conferences. 5. In 2015 was there a paradigm shift? 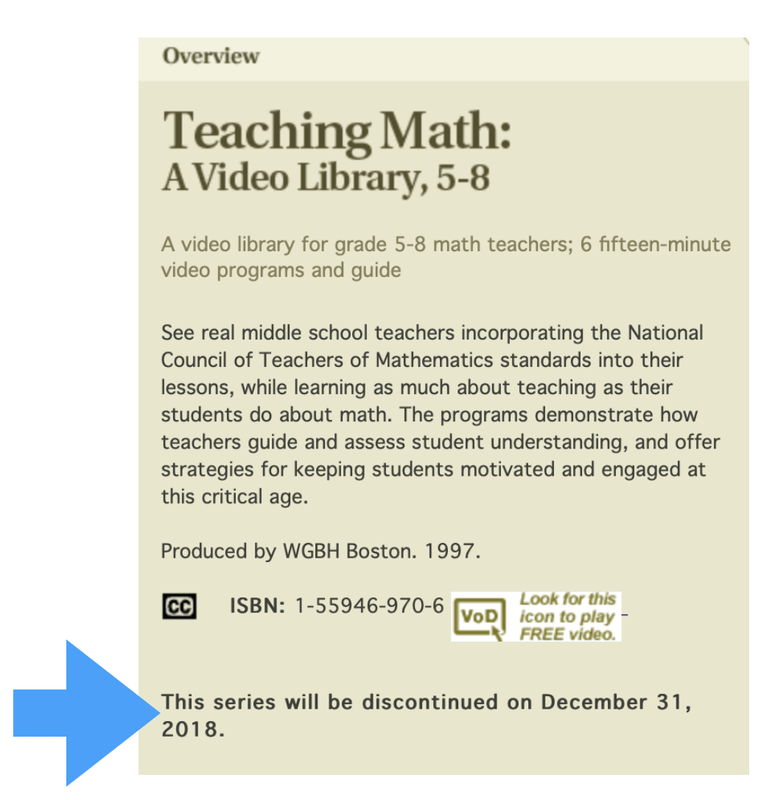 At that time (2015) I was hopeful that more meaningful changes were coming to NCTM. However, I was dismayed by two recent actions promoted by the current president of NCTM. First, there was the president’s post "Mathematics IS STEM Education." This was an indication to me that things at NCTM would be “business as usual” in a situation where the majority of students who are bored with math will continue to have to suffer that condition at least until a president shows up who doesn’t just toe the conventional wisdom, but also encourages creative and, yes, radical approaches to math curriculum reform in the spirit of Seymour Papert. 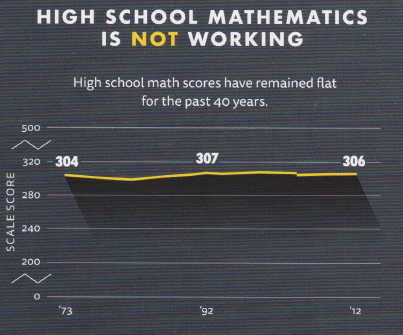 NCTM proposes that all students take four years of math in high school. 2.5 of those years will comprise “essential concepts,” taken by every student regardless of career or college aspiration. Students may then take one of two paths through their remaining 1.5 years, one towards calculus, the other towards statistics and other electives. Electives sound promising for good students who would love to get away from the 4 year "Royal Road to Calculus" path and do something more meaningful in the time they have left in high school. STEM programs which would be excellent alternatives are left out of the discussion. 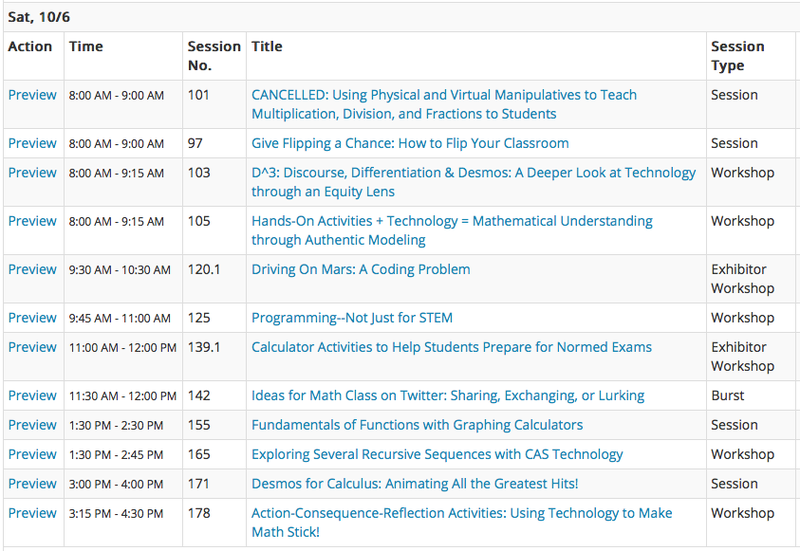 With all due respect, Mr. Larson, Math Education alone is NOT STEM education! For a senior that would do a STEM project that illuminates the mathematics that he has been learning could be a game changer for that student. He may actually see the value of math for the first time since elementary school. So despite my recent disappointments with the turn of events, I'm an optimist at heart and believe strongly that we still need an organization that will not be afraid to step out of the box and challenge unproductive directions that NCTM likes to follow. I hope one of you who agrees with me and will step forward and take the mantle of CLIME to the next level whatever that turns out to be. I will continue to be a friend of CLIME (our designation for member). If you are so inclined to lead CLIME into the future, please let me know (ihor@clime.org). 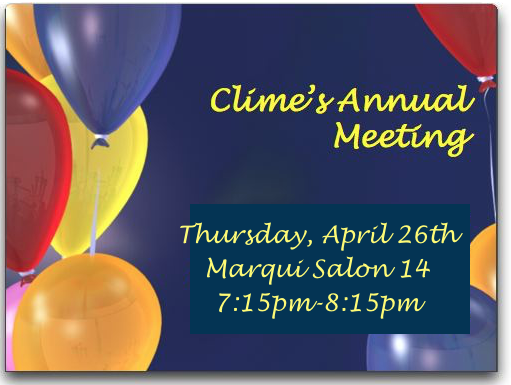 Also, let me know if you are planning to attend the 30th annual CLIME meeting. Recommendation: The Panel recommends that computer programming be considered as an effective tool, especially for elementary school students, for developing specific mathematics concepts and applications, and mathematical problem-solving abilities. 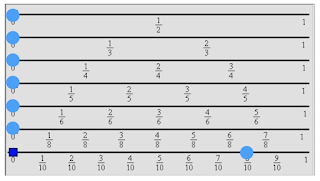 Effects are larger if the computer programming language is designed for learning (e.g., Logo) and if students’ programming is carefully guided by teachers so as to explicitly teach students to achieve specific mathematical goals. 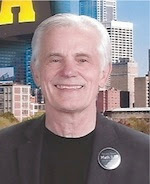 For a more detailed look at CLIME's story (1986-present) see the link.